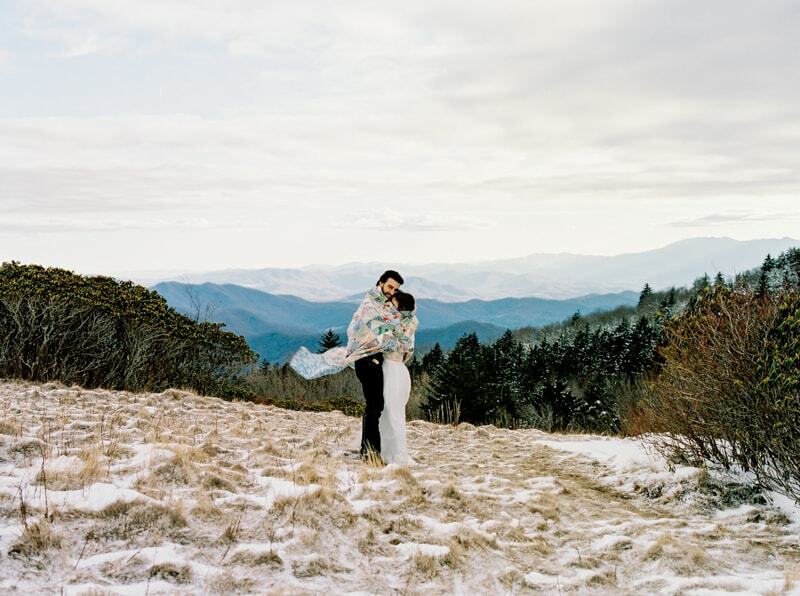 Kaela and Toby were married in Downtown Spruce Pine in an up and coming new venue. The wedding took place on December 16th where friends and family traveled from all over the country and even from out of the United States. The couple wrote their own vows and did a foot washing, unity ceremony. After the ceremony, the reception consisted of hot chocolate, coffee, and just about any dessert imaginable! Kaela and Toby danced, cried happy tears, and loved every second of being surrounded by their loved ones. When the clock struck 11:00 pm they said goodbye while everyone threw snow as they departed.